Fresh Avocados—Love One Today® is gearing up for a year of exciting collaborations, continued nutrition research and, as always, bringing you the scoop on good fat. 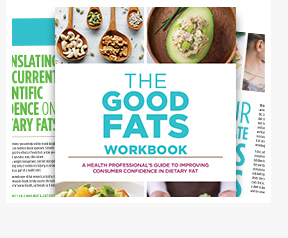 You may be surprised to learn that only 40% of consumers view unsaturated fats as healthy1, and that they’re often confused when it comes to the types of dietary fat and the foods that contain them. 1. IFIC 2017 Food and Health Survey. Want to sharpen your own stuff? 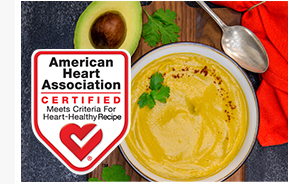 The American Heart Association recently launched a CME course for health professionals— “The Facts on Fats: How They Fit Into Healthy Eating.” The 60-minute course is free to register and you can sign up here. Looking for more? This year, we’re teaming up with the California Walnut Commission to spread the good news about good-fat foods, like walnuts and avocados, and the benefits they provide as part of a heart-healthy diet. Join the conversation and follow #TeamGoodFat. This soup makes a light meal on its own or a savory addition to dinner. Ready in just 30 minutes! Our newsletter geared toward health professionals will provide new nutritional research as well as information to pass along to your patients on making healthy choices with avocados.